Director James DeMonaco delights in satirizing and horrifying real-life events, this time with an election gone wrong (or right?). A former police sergeant (Frank Grillo) is tasked with keeping the anti-Purge candidate, Senator Charlie Roan (Elizabeth Mitchell) alive long enough to end it. The third installment in the Purge franchise, Election Year is the original's younger and more risqué sister, who's ready to wreak havoc and wile out. Based on the true story of paranormal investigators Ed and Loraine Warren, this film will leave your insides feeling grated and your outsides wishing they were inside. It'll give even adults nightmares. Beware. 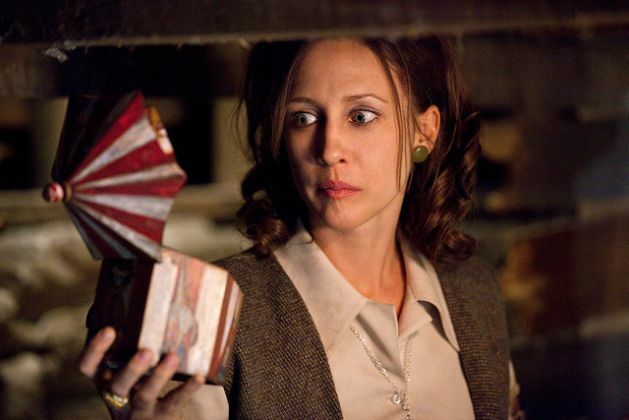 Also, Vera Farmiga and Patrick Wilson are grand as the Warren duo. As much as I loved Darren Aronofsky's most recent thriller, mother!, nothing quite compares to his haunting ballerina horror flick that is Black Swan. Natalie Portman and Mila Kunis prove their guile in this reflection of insanity. Rarely is there a thriller with a surprising plot line. Fede Alvarez crossed those plot lines and destroyed them with Don't Breathe, an eerie rabbit hole that never ends and goes exactly where you thought it wouldn't. His use of darkness and silence are unparalleled. Dylan Minnette (13 Reasons Why), Jane Levy (Evil Dead 2013) and Stephen Lang (Avatar) amaze in their respective performances. This is a definite must-see. A newcomer to being behind the camera, director Jordan Peele has provided us with an inside look at the (if we're being honest) nightmares of the African-American community. It's a frightening but necessary thriller that will leave you questioning your motives and unraveling under the film's pressure. 28 Days Later (2002) | The modern zombie standard, 28 Days Later set the tone for a decade of films and television shows to come. The Witch (2015) | Set in 1630's New England, this Salem-esque tale is what would happen if the witches prevailed. Director Robert Egger's has bequeathed to us a truly masterful horror folktale. And, if you do want a comprehensive list of the best films ever, check out Paste Magazine's article here. Until next time, stay spooky.